“The trouble with the Towers family was the stubborn streak…” This is the biography of Joseph Austin Towers otherwise known as ‘Big Potato Towers’, whose family had for generations been involved in farming and who himself leased farms around Erdington, Sutton Coldfield and Castle Bromwich in the 1920s and 30s. 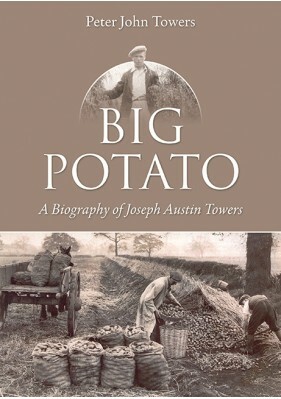 Written by Joseph’s son Peter Towers, the book tells the engaging story of his father’s skirmishes with the Potato Marketing Board, various dubious money making schemes, marital infidelity and finally, his dramatic downfall. With the benefit of hindsight, Peter reveals the life of a man with great entrepreneurial spirit, flawed by obstinacy.